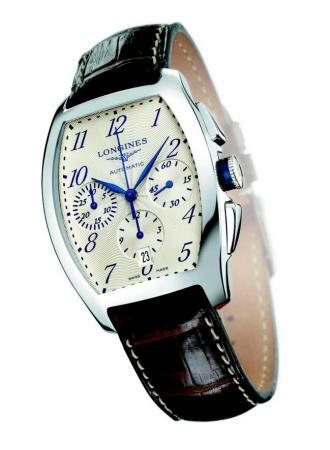 Inspired by a model from 1925, the Evidenza chronograph features an automatic movement caliber Longines L650 (base ETA). The case is in steel, with a sapphire crystal. The dial is available in enamel or black and other case metals available are yellow or pink gold.